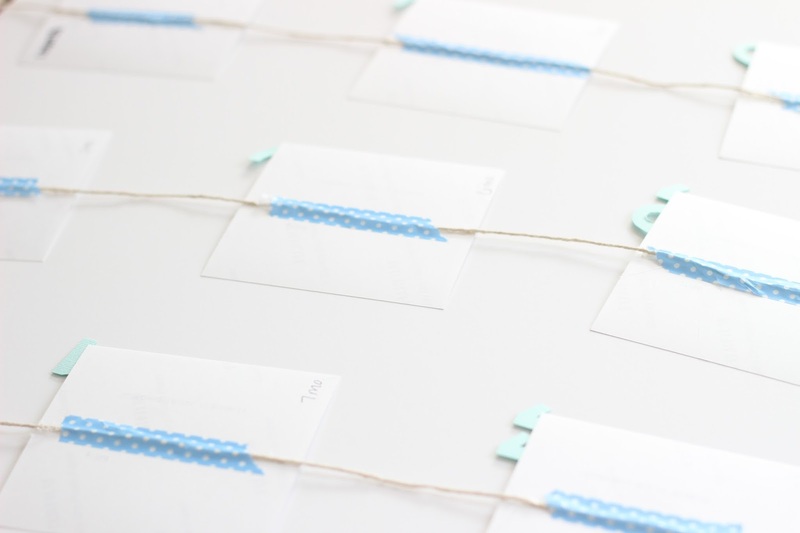 If you've been around here long enough, you know I'm a sucker for an easy DIY project. 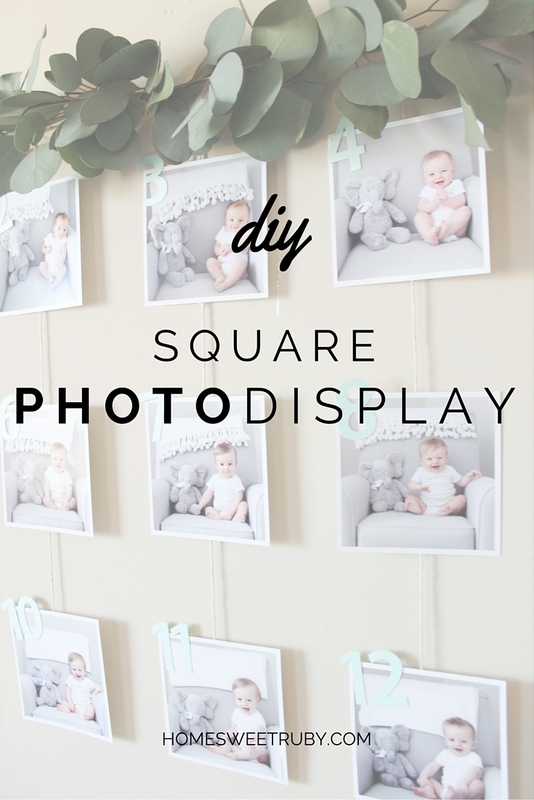 I don't have a lot of time for them lately, but I've had tons of requests for a tutorial for this photo display from Rowan's first birthday party and I figured it was time to share. 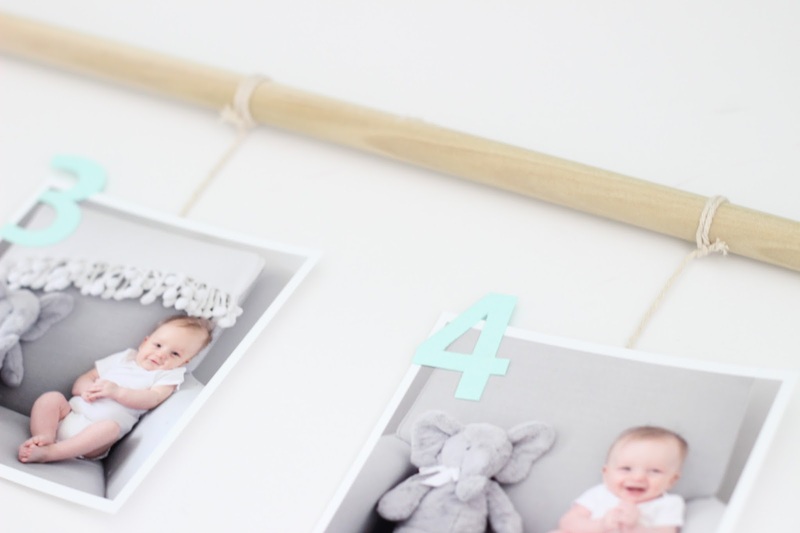 I loved this photo display because it was a little different than what you see at most parties, it can be used for any of your photos (thinking Instagram photos would be so fun! 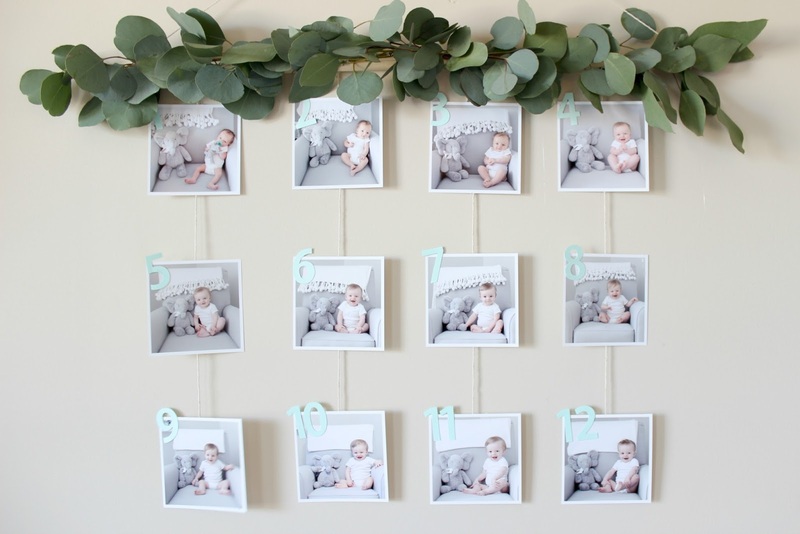 ), and I could glam it up with a little eucalyptus garland. I made it harder than it should have been. So this is one of those "do as I say, not as I do" posts. 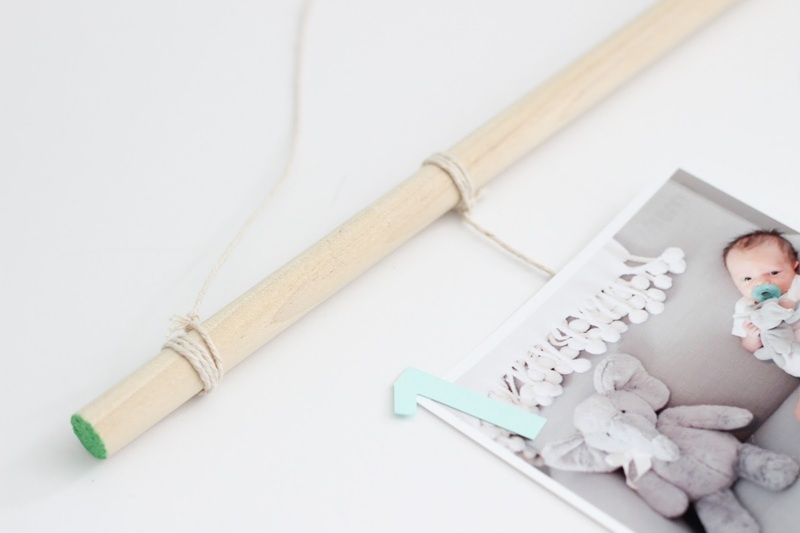 Determine how long you want your dowel rod to be and cut to size. Craft stores have them at varying lengths but mine was from Lowes and needed cut. Lay out your photos and decide how you want them to be arranged. Cut rope or thread for each of the columns and the top portion that will be used to hang your display. Tie these to your dowel rod. Here's where I screwed up... I used hot glue to attach the photos. Like a dummy the tape never occurred to me and let me tell you, washi tape is way easier. I added some to the backs just to give you a visual. If you want to add a garland like I did, just cut a bunch of stems and attach them with floral wire or the same thread you used if its not noticeable. If you're a stickler with details you may end up having to hot glue a few stubborn leaves to the garland. My mom thought I was crazy doing this but I'm such a perfectionist. And that, my friends, is all there is to it! If you end up making this be sure to email me or tag me on your photos, I'd love to see the finished products! Yay! I'm glad you shared this DIY - it looks so simple & easy to do. Perfect decoration for a party! Love this! And love that it's so simple even I could manage to finish it! Finishing projects is not my strong suit. lol. I think this is probably one of the cutest ideas I've seen in a while! I have loads of washi tape too so I'm definitely prepared to do this one! =) Thank you for the beautiful inspiration! How adorable :) Love this idea!! This is a great DIY! I ordered some IG prints from social print studio of Camden that have just been sitting in a box. I'd love to do a display like this somewhere in our house! You know I love this and I am pinning it for future babies! !